Ms. Kristina Frances is recognized by the International Academy of Science for her contribution to the Acellus AP Statistics course. Ms. Frances earned a Bachelor of Science degree in mathematics and education at the University of Tulsa in 1994, and a Master of Arts degree in curriculum and instruction from the University of Missouri at Kansas City in 1999. She completed AP Vertical Training and AP Calculus Training in 2005, Math Vertical Team Training in 2006, AP Institute for Statistics Training in 2007, and AP Teachers Statistics Training in 2008, all at Truman State University. 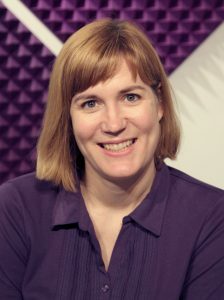 Ms. Frances has taught math at East Central High School, as well as at Winnetonka High School and Oak Park High School. She currently teaches math and statistics at Staley High School, where she has taught for the past 10 years. In addition to her love for math, Ms. Frances enjoys volleyball, which she has coached for nearly two decades.